One of the most common reasons for stubborn weight gain, digestive issues and other chronic health problems is that most people aren’t drinking enough water. 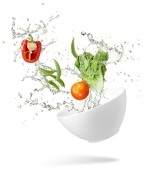 Due to poor eating and drinking habits – and perhaps because most of us take plain ol’ fashioned water for granted – several doctors and health practitioners believe that most people in the world suffer from chronic mild dehydration, which affects weight, well-being, appearance, energy level, general health and longevity. 1. Unfortunately, our bodies aren’t very good at telling us whether we’re thirsty or hungry. Many of the signals our bodies give us for thirst and hunger are the same – stomach discomfort, weakness, headache, dizziness, nausea, etc. – which makes it very difficult to know whether we should be reaching for a glass of water or a bite to eat. Usually, most of us end up reaching for the later, consuming calories our bodies weren’t actually asking for. Then, if you are still thirsty (which often happens if you eat instead of drink), the thirst/hunger symptoms persist, leading you to eat even more. This cycle of “silent” dehydration leads to overeating and weight gain. 2. 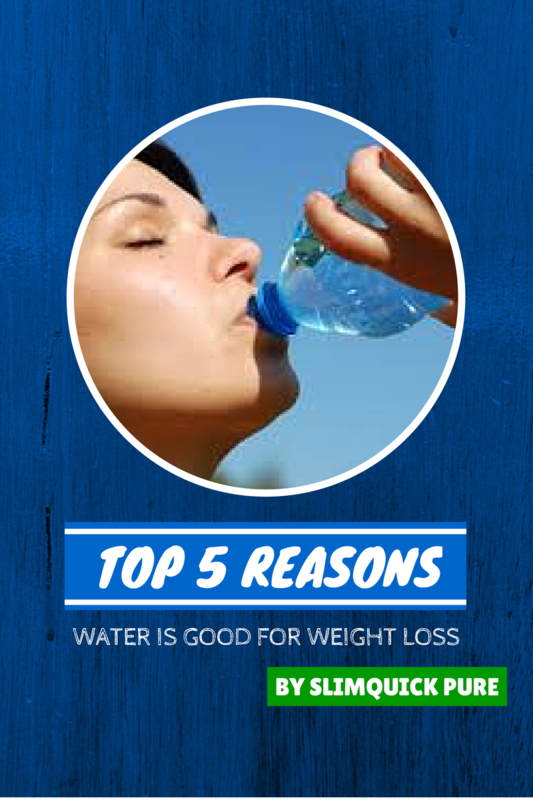 Several research studies have shown that water significantly boosts your metabolism. A 2003 study showed that people who drank 8 to 12 glasses of water daily burned calories at a higher rate than people who were not well hydrated, even while at rest. German researchers repeated the study on patients who were overweight or obese, and their test subjects began burning 24 percent more calories within just one hour of drinking water. 3. Healthy, toned muscles are key to maintaining a high metabolism and losing weight, even while you’re resting. Dehydration reduces blood volume, reducing the amount of oxygen and nutrients delivered to your muscles to keep them active. Dehydration also reduces your muscles’ ability to contract and work properly, which slows down your metabolism and ability to break down body fat. 4. The consequence of burning calories, breaking down fat, eating and exercising is the natural creation of toxins in your body. If you’re not getting enough water, these toxins don’t get flushed out, and build up instead in your body, blood and fat cells. The internal buildup of toxins leads to a slower metabolism, weakened immunity, fatigue, skin problems, inflammation, illness and diseases. 5. A 2001 study showed that subjects who drank an 8 ounce glass of water before a meal felt satisfied from eating fewer calories than subjects who ate a meal without drinking water first, leading them to eat more calories. Everyone’s water needs are different, depending on your weight, age, activity level, the environment and climate you live in, the time of year, your diet, whether you are nursing, etc. We each need to drink enough water to support our bodily functions efficiently and healthily, while not drinking so much that we dilute important electrolytes in our blood (although that would take a lot of water). The Institute of Medicine’s Food and Nutrition Board estimates that about 20 percent of women’s water needs are covered by the foods we eat, leaving about 72.8 ounces (on average) that we should be consciously drinking a day. That means you should be making an effort to drink about 9 eight-ounce glasses throughout the day. Also, keep in mind that caffeine and alcohol are diuretics that cause your body to lose water. Therefore, when consuming caffeine or alcohol, drink more water to compensate, and choose caffeine-free diet pills for women. 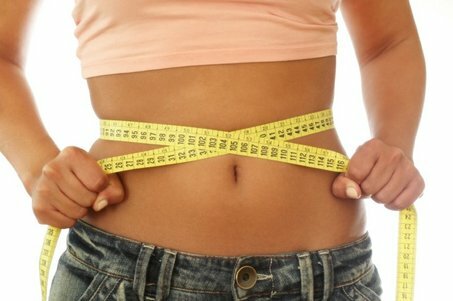 For more reasons you might not be losing weight – check the 5 weird reasons you are not losing weight! So this means drinking SQ Pure Drink Mixes will mean that I will get more water too?